7% of Ukrainians in Kharkiv oblast support integration with Russia. Four years ago, it nearly turned into a Russia-backed separatist enclave like neighboring Donetsk and Luhansk. The anti-government Russian Spring protests of 2014 were supported only by a minority of Kharkiv’s citizens—as was the case in these neighboring regions. Kharkiv has experienced an economic decline largely due to the loss of the Russian market. A recovery is now under way in Kharkiv, fueled by a somewhat successful reorientation to new markets, increased military industrial demand, and export growth in the economy’s services sector. However, people’s incomes have not returned to pre-2014 levels. Bloody clashes between the two camps started on March 2, 2014, when pro-government supporters and outsiders from neighboring Russian regions installed a Russian flag on the building that houses the Kharkiv regional state administration. The number of pro-Russia activists was estimated to be 4,000 at most, according to one former regional official. A group of pro-Russian activists proclaimed a short-lived Kharkiv People’s Republic on April 6, 2014, just a few hours after their counterparts in Donetsk established a people’s republic that remains intact today. The one in Kharkiv, however, was put down in less than two days due to the decisive actions of Ukraine’s security forces. For almost three decades Kandić has been a thorn in the side of those who butchered, raped and tortured during the Balkans wars of the 1990s. She documented abuses and massacres. The evidence she gathered was used in the preparation of many indictments issued by the U.N. International Criminal Tribunal for the former Yugoslavia in The Hague, including a video of Bosnian-Serb paramilitaries executing a number of captives, which helped prove Serbia's role in the Srebrenica massacre of 7,500 Bosnian Muslim men and boys. In her home country she has seen by many as a traitor and drawn the hatred of the Serbs’ wartime leaders and their followers, including a new generation of ethnic nationalists who glorify ethnic cleansing and the Balkans conflict. In the Serbian-controlled Republika Srpska, one of the two legal entities of Bosnia and Herzegovina, Aleksandra Letić of the Helsinki Committee for Human Rights, bewails an increase in nationalist rhetoric, fanned by the politicians, especially before Bosnia-wide elections next month. A new generation of youngsters are thrilling to the idea of Serbian ultra-nationalism. 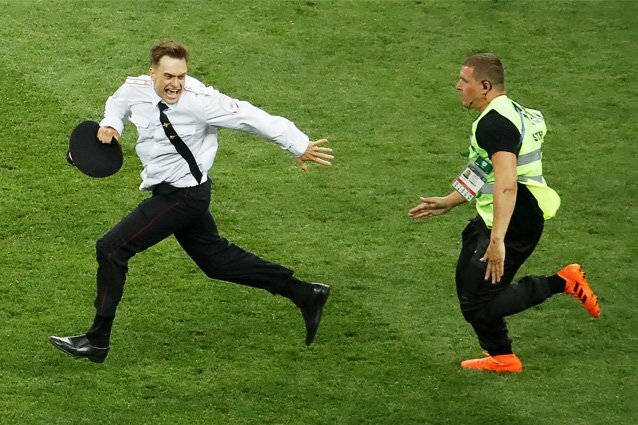 @pussyrrriot member Pyotr Verzilov, who rushed the field during the World Cup final to protest police brutality, has been hospitalised in critical condition in the toxicology department of a Moscow hospital. His relatives reportedly suspect poisoning. The Verzilov poisoning: His mother came to the hospital, but staff wouldn’t let her see her son, and even refused to describe his condition or inform her about his preliminary diagnosis. They sent her away. If fears are proven true --- an if at this stage --- this is a big development. Regime has generally differentiated btwn enemies and traitors. If verzilov was targeted, marks a clear merging of the two. A radicalisation of police state. Ukraine's Babchenko sting was not the first of it's kind. In 2017, Ukrainian authorities staged the kidnapping of Poroshenko Bloc Oleksiy Honcharenko, using him as "bait" to nab an organized crime group. In May 2016, Ukrainian authorities, including the SBU, staged the murder of a lawyer Alexander Pogorely to catch his would-be killer and the man who hired him. A Kyiv court has sentenced a Ukrainian businessperson to prison for plotting the murder of Russian journalist Arkady Babchenko. Borys German, who was detained as part of a shocking special operation in May that involved faking Babchenko’s death, received 4.5 years behind bars, Vasyl Hrytsak, the chief of the Security Service of Ukraine, or SBU, told journalists on Sep. 1. The verdict will come into force in a month. “German pleaded guilty and cooperated with the investigators,” Hrytsak said. Babchenko is still under the protection of SBU guards. 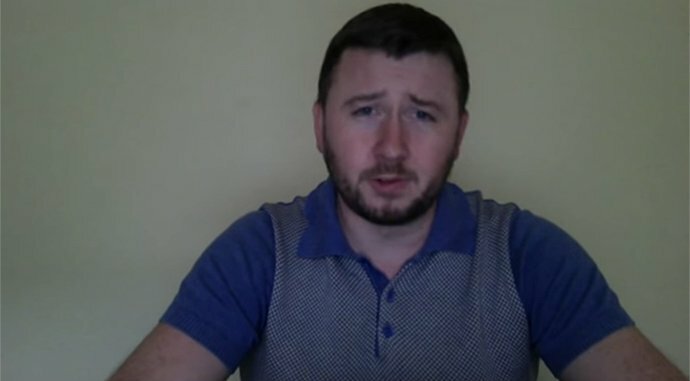 Man calling himself as Vyacheslav Pivovarnikov, main suspect in foiled Arkadiy Babchenko assassination, yesterday published video with own version of events. For the past nine years, the level of public confidence in state-run television has decreased by 30%, Russian pollster Levada Center reports. According to their recent survey, 49% of respondents at the age of 18 to 24 say that television is the major main source of reliable information. Doctors reportedly suspect pu$$y Riot member Pyotr Verzilov was poisoned with a neurotransmitter-blocking medicine. Moscow's Sklifosovsky trauma hospital just confirmed to me that Pyotr Verzilov of pu$$y Riot was today admitted to their intensive care for poisoning cases, his condition is serious. The European Union has extended sanctions against Russia, which expire on September 15, for another six months, the EU Council press service reported on Thursday. "The Council has prolonged the restrictive measures over actions undermining or threatening the territorial integrity, sovereignty and independence of Ukraine for a further six months, until 15 March 2019," the press service said in a statement. A final deal with Serbia would also enable Kosovo to become a member of the United Nations. Among such cases, arbitrary arrests and enforced disappearances, violation of fundamental freedoms of peaceful assembly, expressions, religion, association and movement. This data was presented in report of UN Human Rights Monitoring Mission in Ukraine between 13 September 2017 and 30 June 2018. Report is based on results of nearly 200 interviews and monitoring visits to Ukraine’s mainland. The Russian Federation did conscript Crimean men into its armed forces, 12 thousands since 2015, prosecuting those who did not want to serve. The occupying power did transferred detainees and prisoners to its territory for trial or to serve their sentence. The evidences of Fourth Geneva Convention violation are also cases of deportation of peninsular citizens and encouraging of Russian citizens to move to Crimea. Russia is continuing to refuse Office of the UN High Commissioner for Human Rights to get access to the territory of the peninsular contrary to UN General Assembly Resolution. Among documented violations in Crimea, 42 facts of forced disappearances for which guilty parties were not brought to responsibility. Property searches and raids happen regularly, 80% of them affect Crimean Tatars. It is emphasized that activity of Mejlis is Crimea is still prohibited, despite the decision of UN International Court. They weren't doing it all ready? 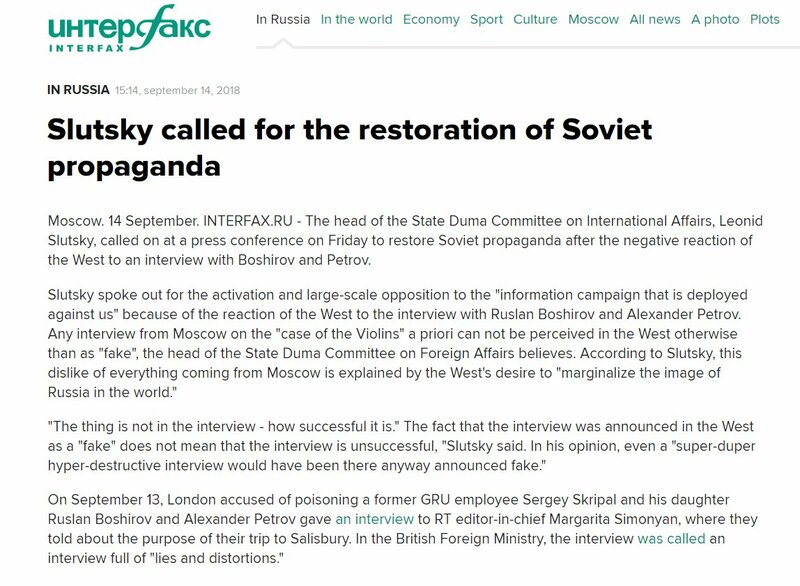 Russian State Duma's Foreign Affairs Committee Leonid Slutsky calls for a full-scale re-activation/resurrection of Soviet-style propaganda. It's not about Crimeans. They seem quite happy. It's about preventing people who dont want to be seized, from being seized against their will. Important discussion about next steps after the Crimea Declaration. Our Crimea Declaration is a serious statement that U.S. will never will never recognize Russia’s purported annexation is Crimea. Figure includes those who were injured. On 12 April 2000, Illarionov assumed the office of Vladimir Putin's senior economic adviser within the Russian presidential administration and in May 2000 he became the personal representative of the Russian president in the G8. He played an important role in introducing the low 13% flat income tax in Russia, in repaying the Russian foreign debt, in creation the petroleum revenues-based Stabilization Fund of the Russian Federation and in bringing Russia's full-fledged membership in the political G8. On 3 January 2005 Illarionov resigned from his position as presidential representative to the G8. On 21 December 2005, Illarionov declared "This year Russia has become a different country. It is no longer a democratic country. It is no longer a free country". The Russian Orthodox Church has announced it will no longer take part in structures chaired by the Ecumenical Patriarchate of Constantinople. Vladimir Legoida, a Russian Orthodox Church spokesman, said the Holy Synod had decided to suspend its participation in all structures chaired or co-chaired by representatives of the Patriachate of Constantinople. “Essentially this is a breakdown of relations. To take an example from secular life, the decision is roughly equivalent to cutting diplomatic ties,” the Russian Church’s Metropolitan Ilarion was quoted by the RIA news agency as saying. The Kremlin said it was following the situation closely and reiterated its opposition to any split in Orthodoxy. “Of course for Moscow and indeed for the entire Orthodox world the single preferable scenario is the preservation of unity of this Orthodox world,” Kremlin spokesman Dmitry Peskov told reporters on September 14.